Because the Samsung Galaxy S8 Active is durable on the outside with a long-lasting battery on the inside, you won't have to compromise one pixel of entertainment. 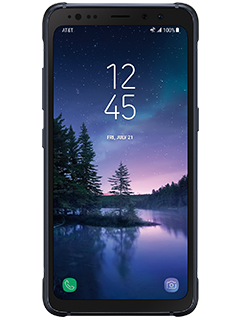 Learn how to get $790 in credits when you buy a second Samsung Galaxy S8 Active. See offer details. Battery Watch movies and more on the go with the long-lasting 4,000mAh. 12 MP camera Take amazing photos in low light and at fast speeds. AT&T advantage With services like NumberSync℠,5 Wi-Fi Calling,6 HD Voice,7 Video Calling, and Advanced Messaging,8 staying connected has never been easier.